Breakdown is an interactive audiovisual dance performance presented at the Ears Eyes and Feet event in the B. Iden Payne Theater, May 2014, UT Austin Texas. 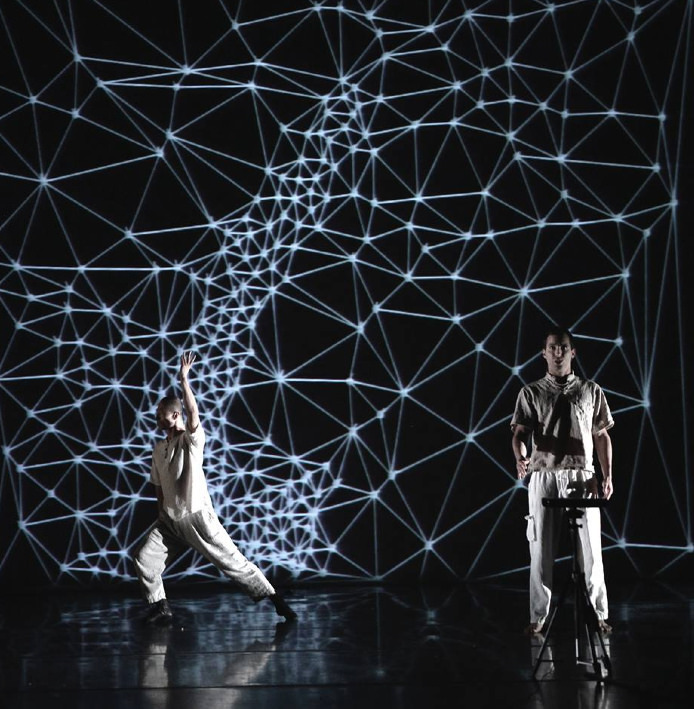 Breakdown explores a 2 dimensional simulated world in which its physical rules are constantly being changed and manipulated by an external entity. An inhabitant of this world is in constant motion to adapt to its characteristics. He interacts with the physical rules and develops a dialogue with the entity who controls the forces. Eventually the inhabitant ends up breaking the world’s rules and release himself into a new world, a new dimension. 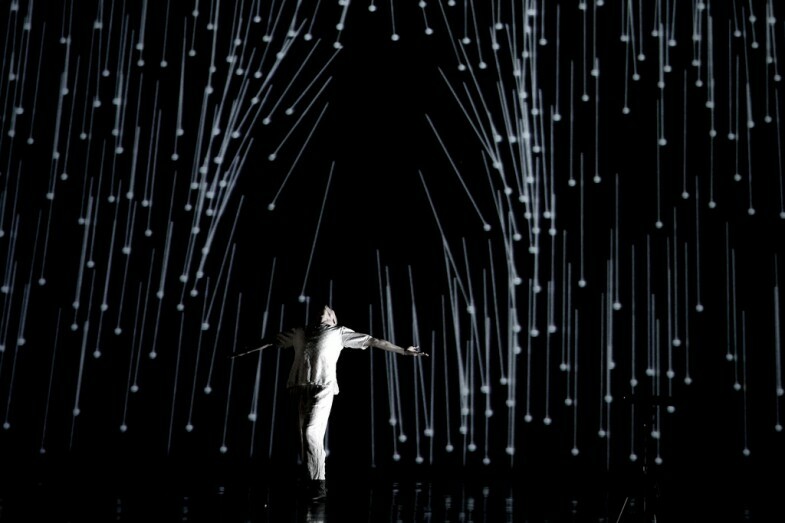 The dancers’s movements and gestures are captured by two Kinect cameras on stage, creating an interactive dialog with the music and visuals. Visuals made with Processing+Toxic library.